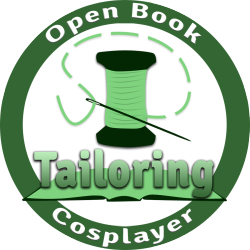 There are lot of really great tutorials for sewing, armor making, painting, and pretty much anything else you can think of out on the open web. I’ve included a few of my favorite video tutorials in the playlist below, but feel free to contact me if you’re curious about a specific technique or your Google-fu could use some help! Where do you get your fabric? Do you have an awesome store near you? I have three Jo-Anns in my area, and they don’t carry much in the way of spandex, etc. Do you have a favorite online fabric store you can recommend?